Megan is often on the phone working for her client’s, so if you receive her voicemail, please leave a message. She returns calls as soon as possible, but if you have a quick question, she is fast to return texts from 8:00 a.m. to 9:00 p.m., Central Standard Time. You may also e-mail her. Megan is not available on Sundays. 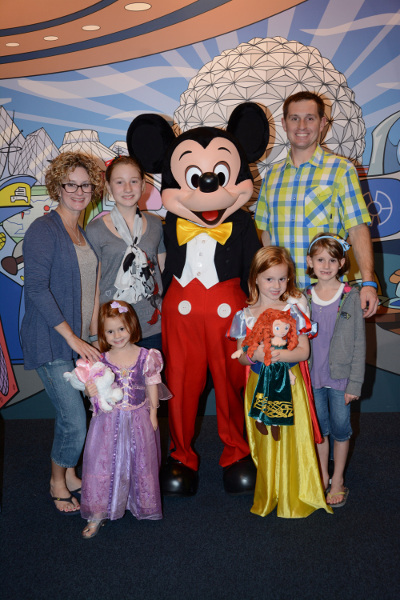 Megan loves to take the “work” out of planning a Disney vacation for her clients. She enjoys helping families book, plan and organize their vacations. She wants families to have the most magical experience possible. She’s ready to help answer those tough questions that client’s “could” spend hours researching. Having Megan assist you, cuts down time that a client would otherwise need to set aside. This site is not affiliated in any way with the Walt Disney Company or any of its affiliates. Ships’ Registry: The Bahamas. This site and the information contained within represent the opinion of the webmaster. All trademarks, photographs, and art work are the property of their respective owners. No Part of this website may be reproduced in whole or in part without written permission - All prices are subject to change and are based on an availability basis. Please contact us directly for current prices. © 2016 - I'm ALL Ears Vacations, LLC. All rights reserved.